Learn about murders committed in the Rows and see where trials were held by the Witchfinder General. Hear how the market place was used for grim entertainments, whippings and savage punishments. 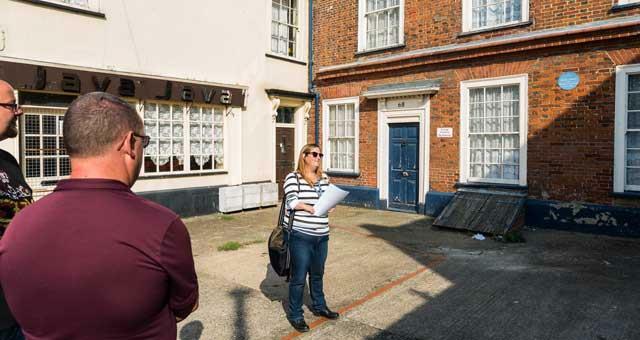 A wealth of terrible tales and Yarmouth yarns will make this a heritage walk to remember.